There are direct flights to Lanzarote of about four hours’. The island of Lanzarote, offers many miracles above and below the water. 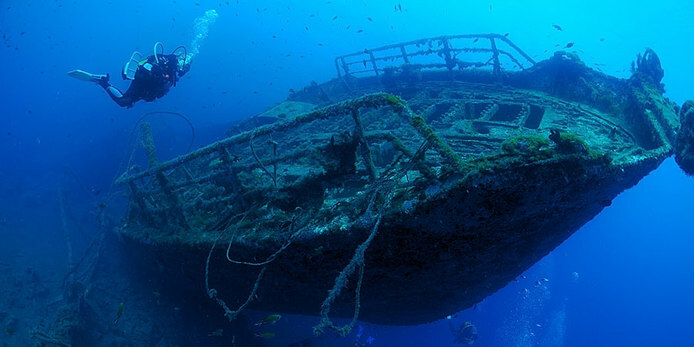 There are also several options during a live-aboard diving trip for general family members who may just enjoy snorkeling. ​The motor pleasure cruiser "Maype”, is 18 meters long and was built in 1975. 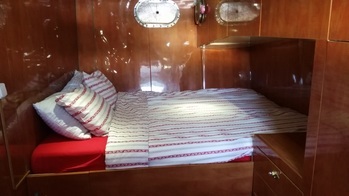 It has been completely renovated and rebuilt in 2014/15 and is now comfortably equipped with a capacity of 9 comfortable berths in three cabins, the arrangement is one triple cabin with a large double bed and a large single bed. 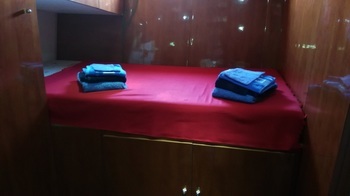 ​Another double cabin with two bunk beds and a further cabin for four persons also with spacious bunk beds. 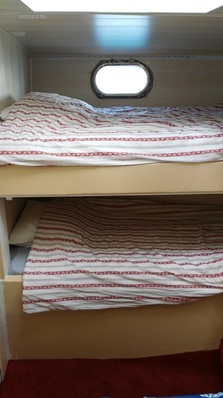 Two of these bunks, are double beds, which will be ideal for couples. 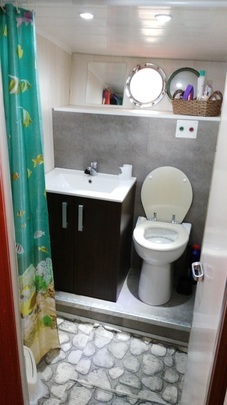 Therefore if required this particular cabin can accommodate a maximum of 6 people. So we can accommodate up to 11 persons in total. ​You don’t need to bring towels or clean sheets as they are supplied as standard. There are two spacious bathrooms with big showers and modern fittings. ​There is always 200 Liters of fresh hot water, available for your after dive showers. Also on board is a further 1,200 liters of fresh water. On the middle deck you will find the bridge and an open living dining area. The galley has all the necessary kitchen appliances. 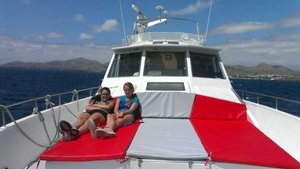 ​On the upper deck there is a spacious sun terrace with wide sofas, while on the front deck there is also a spacious wide sunbed that you can really enjoy as you sunbath between dives. ​For the diving activities, there is a special platform on the aft deck with steps leading to the sea and a freshwater shower. ﻿On board there is further dive and safety equipment available, such as oxygen, AED, etc. There is a safety zodiac with an outboard motor. 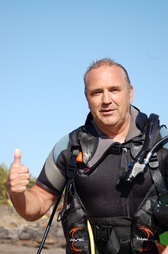 ​The owners, Dea and René van Leeuwen, both Dutch, live already more than 29 years on Lanzarote and are very known in the diving world as the former owners of the dive center Safari Diving. 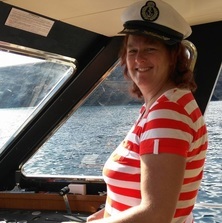 René is a fully qualified Spanish comercial captain, a Course Director, a RYA Power boat Instructor, Fire fighter and First Aid / AED Instructor. The Live-a-board pleasure cruiser Maype, has a fantastic reputation as a chill-out boat. 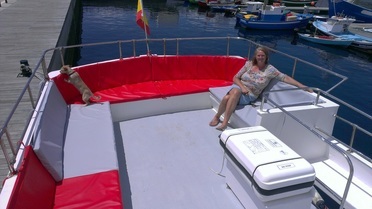 The combination of hospitality, comfort, functionality and first class diving make this live a board around Lanzarote a winner.